It’s been a rough year so far for people who work in retail. First Target said it would take a mulligan on the 133 stores it had opened in Canada, and then Future Shop welcomes its employees to work this past Saturday with notices telling 1,500 of them they’re out of a job. Now a group of workers turfed out by Best Buy’s decision to shut down its Future Shop stores say the severance cheques they were offered are too low, and not in line with Canadian labour practices. “What I discovered pretty much consistently amongst all the people that I’ve spoken to is that the offers were completely inadequate,” says Lior Samfiru, a labour lawyer retained to negotiate for higher packages for a number of former employees. While Samfiru admits the company may be operating within the letter of Ontario law, the payouts fall well below levels that previous court decisions have established as a fair level. “(Provincial law) is only a minimum, and every employee has significantly greater severance rights under our common law,” he says. He says the severance packages have to take into account not only length of employment, but also the workers’ age and job classification. 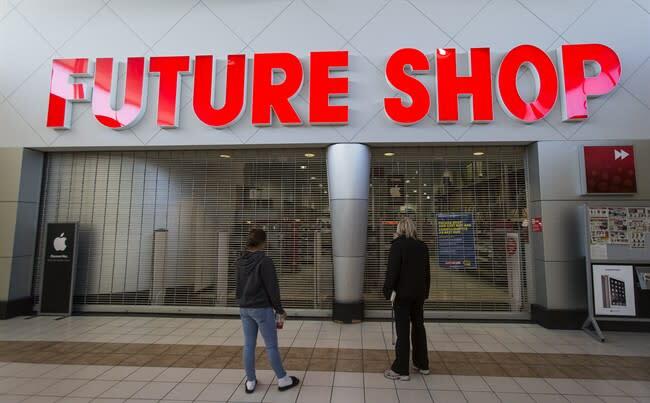 The familiar red Future Shop signage had become a fixture at malls and big box shopping strips, often located not far from its Best Buy counterpart. The fact that Best Buy owned both brands (having bought Future Shop back in 2001) was likely lost on many customers racing back and forth to compare prices and products. Taken in that light, Future Shop’s days have been numbered for a while, kept alive by a boom in consumer electronics purchases driven by video games and flatscreen TVs. Best Buy, for its part, says the severance packages are above board. “We took great care to ensure we looked after our people. Best Buy Canada fully complied with all Provincial Employment and Labour Standards to calculate severance for our employees,” said a statement from spokesperson Elliott Chun. Chun also touched on the suddenness of the announcement, saying employees were not asked to work through their notice period “due to the scale of change” and were instead paid in lieu of notice. But Samfiru also takes issue with how the layoffs were done, saying some employees were pressured to accept their severance offer on the spot, rather than taking time to think about it. “You’re in a tough situation. You’ve kind of almost been hit by a truck because you though you were going into work today, and now you’re not going back to work ever at that location. You’re handed a piece of paper and told you really need to sign this. A lot of people are going to sign it not knowing any better,” he said, adding that any severance accept under duress is not legally binding. Samfiru said he expects to try to negotiate for higher severance, and will take the issue further if he has to.